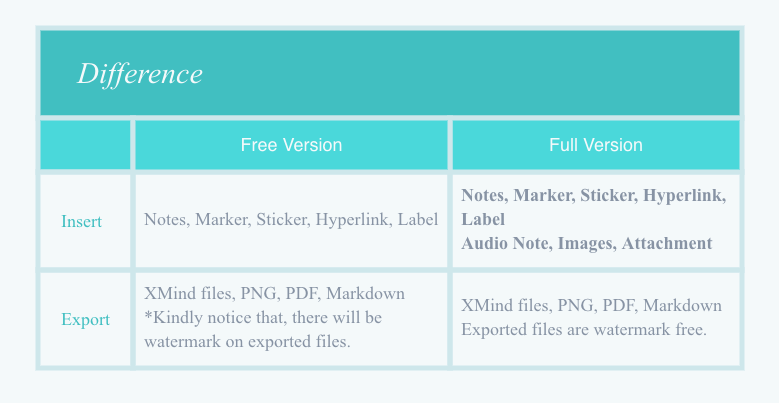 XMind for Mobile provides trail version and full version. In trial version, most of the features are available, and there is no time limit. But commercial usage and individual plans are forbidden. The full version unlocks all the features, and updated features will be added in the future. Commercial usage and individual plans are allowed. Previous: What are the supported system of XMind for Mobile? Next: How to update and reach us?